Save $35 when you buy 2 beauty eggs for $145 with code EGG145 (worth $658) . 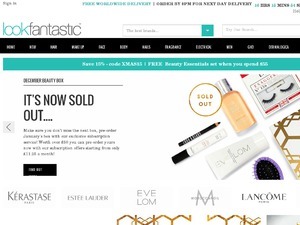 Do not miss another lookfantastic.com US & CA voucher! Simply leave your e-mail address and we'll always keep you informed of new vouchers for lookfantastic.com US & CA. Latest voucher code valid at a time of promo publication was entered to be working from 2019-04-23.